To be honest, I don’t think I’ve ever eaten a shepherd’s pie with potatoes, or any shepherd’s pie other than the ones I’ve made over the past few weeks. The whole inspiration for this recipe was the rutabagas. My mom and cousin were coming to dinner, and Ben and I went to the farmer’s market. We got there late, and there were no green vegetables left at all–only roots! We picked up a bunch of rutabagas and some grass-fed ground beef, and shepherd’s pie occurred to me as the perfect way to put the two together. This dish is supremely comforting. The top layer is so creamy and fluffy, it’s almost like rutabaga clouds, and the flavorful meat underneath is the perfect counterpoint. Shepherd’s pie takes a little time to put together, but this recipe makes a bunch, and it tastes even better the next day. 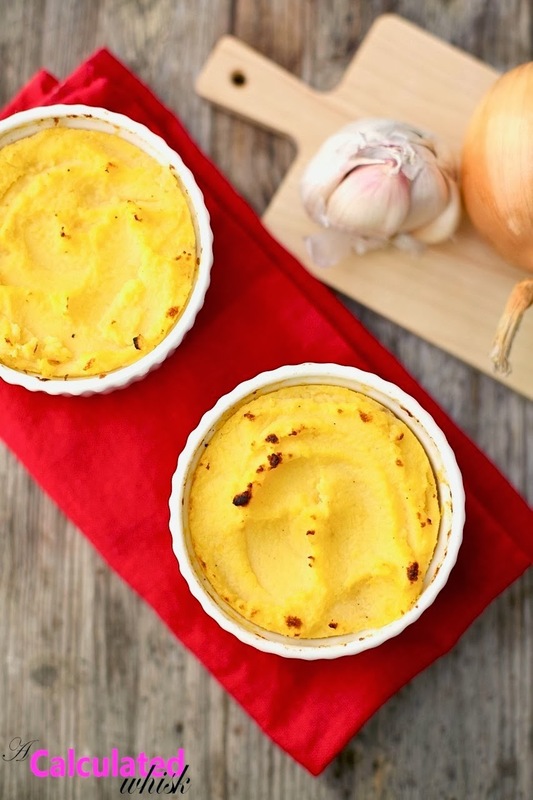 Rutabaga is even more delicious than potato atop this paleo version of shepherd's pie. This shepherd's pie with rutabaga is one of my go-to dinners during the colder months! To make the rutabaga, place the chopped rutabaga in a large saucepan with salted water to cover. Bring to a boil and then simmer, covered, for about 30 minutes, or until fork tender. Drain the rutabaga, and add all the remaining ingredients except the egg yolks. Process with an immersion blender (or transfer to a blender or food processor) until very smooth. Taste and adjust seasonings as desired. Add the egg yolks, and process again. While the rutabaga is cooking, prepare the meat. Place your fat of choice in a large skillet over medium heat. Add the onion and cook, stirring occasionally, until browned, about ten minutes. Add the garlic and cook for 1-2 minutes. Raise the heat slightly and add the ground beef. Cook, stirring frequently and breaking up any clumps, until no longer pink. Add the remaining ingredients and stir. When the mixture begins to bubble, reduce the heat to low and simmer for 10-15 minutes, until most of the excess liquid is gone. Place the meat layer in a 9x13" baking pan. You can also make this in two 8x8" pans, or make half a recipe in one 8x8" pan. 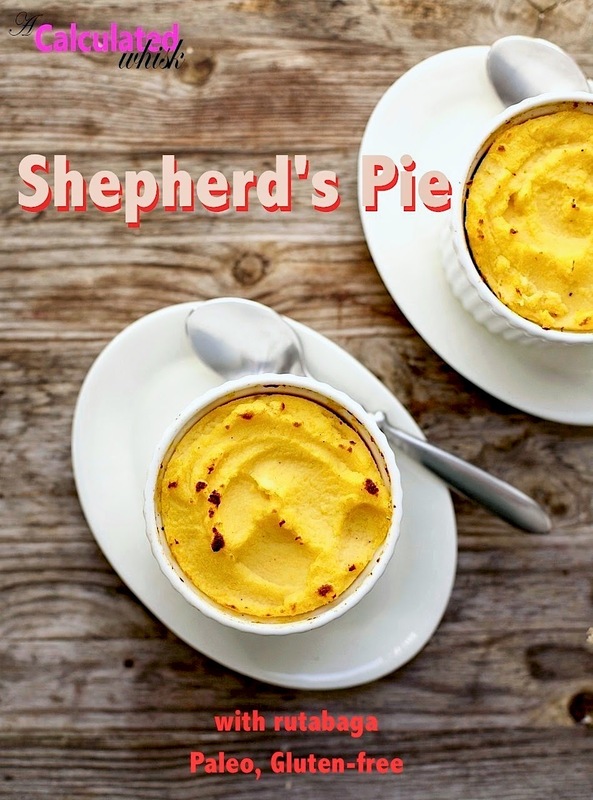 To make mini shepherd's pies, use 8 small, 8- to 10-ounce ramekins and place them on a baking sheet. Top with the mashed rutabaga, spreading with a spatula to form a seal around the edges of the pan. Use a spoon or spatula to create a little texture on the surface--this helps the top get browned in spots. Bake for 30 minutes, or until hot and bubbly. If desired, set the oven to broil and place in the broiler for a few minutes, until browned in spots, checking frequently (don't walk away!). Let sit for 10-15 minutes before serving. Leftover shepherd's pie is delicious (perhaps even more so) reheated the next day or the day after that. Store it in the refrigerator, and reheat individual servings in the microwave, or reheat the entire pie in the oven at 400°F until hot and bubbly. This post contains affiliate links. If you make a purchase on Amazon or ButcherBox after clicking one of my links, I receive a very small commission (the price you pay is not affected). 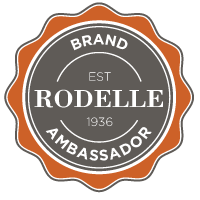 Thank you so much for supporting my blog! Love your website! I’m doing a recipe roundup for low carb St. Patrick’s Day recipes on my blog and I’d love to include your Sheperd’s Pie with Rutabaga. But I first wanted to ask your permission to use an image from your post. I've made this a few times and every time, super delicious! I couldn't use coconut aminos or balsamic vinegar (for GAPS diet), so added extra salt and is still delicious! I've also added in puréed liver soaked in lemon juice. Thank you for a great recipe! So glad to hear that! Pureed liver sounds like a great nutritious addition 🙂 Thanks so much for leaving a comment! Thanks, Claire! I hope you give the rutabaga a try! 🙂 I do love the color, and the flavor is great, too.